When working at heights with chainsaws, flexibility, breathability, comfort and protection are essential. 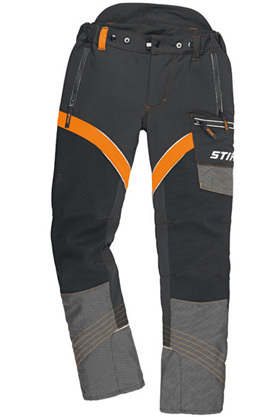 X-Flex pants combine ultralight, extremely breathable AVERTIC™ pro lite cut-protection - material developed exclusively for STIHL - and the latest in breathable and durable fabrics. This combination creates a market leading product that not only looks good, but keeps operators cool and protected. AS/NZS 4453.3:1997.